South Carolina is no follower when it comes to music and dance. In fact, the official state dance, The Carolina Shag, originated along the state’s northern coast and still maintains its popularity among beachgoers and dance enthusiasts alike. 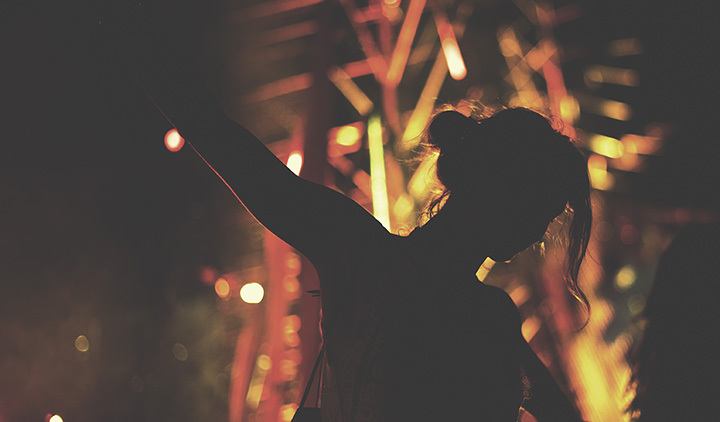 Truthfully, there are about as many types of music and dance moves as there are people. And while many young folks may never officially add the “shag” to their dance move repertoire, the Palmetto State still offers plenty of places for dancers of all ages to move to the music they like best. So, ready to bust a move? Check out this list of the 10 hottest dance clubs in South Carolina. Don’t let the name fool you—this massive club offers more variety than hits from the turn of the century. Actually, 2001 has been around much longer than the name suggests. Each lounge within the club offers a unique vibe, scenery, and music styles, so everyone in your posse can hear something they like. Got an affinity for the eclectic? Join the Art Bar for an evening of dancing, drinks, and art appreciation. This isn’t your typical disco ball and laser light dance floor: The whole place is a burgeoning palace of creativity and inspiration, where you can unleash your inner dancing spirit and let the music move you. If you left your dancing shoes at home, it’s also a great place to camp out with a cocktail and enjoy the scenery. Located in Columbia’s famed Vista lies one of the most unique dance clubs you’ll find. Meet Woody Windham, a longstanding name in the Columbia radio scene. Woody coasted on the airwaves for 53 years before retiring and reformatting his radio broadcast. Now you can catch dance-worthy beats from his personal collection at Woody. Think of it as a non-stop radio broadcast from Woody himself, sans advertisements. He plays all the music you’ll want to dance to, and you’ll get to enjoy a dance club experience unlike any other. Located in famed Celebrity Square at Broadway at the Beach, Celebration Nitelife’s multi-lounge setup gives you a big city feel—without the big city. Grab a daiquiri from Malibu’s Tiki Bar, then hop over to Broadway Louie’s karaoke stage. Or, hang 10 at Malibu’s Surf Bar, complete with beach music and all things coastal. They’ve also recently added OZ, where extraordinary is just a dance step away. Over 5,000 Facebook followers can’t be wrong, right? This place combines the hottest in Latin music with low drink prices, a house DJ, and ambiance that will keep you dancing until the wee hours of the morning. Who says club music has to come from a turntable? Head to Skyline Club, the premiere Midlands destination for live country music, dancing, and socializing. They boast the largest dance floor in the state, with over 1,600-square-feet of space to kick up your heels and perfect your signature moves. Myrtle Beach truly has something to offer everyone, even when it comes to nightlife. Karma offers a drug-free, alcohol-free social hangout for teens to enjoy DJs and dancing with their friends. It’s also known as a celebrity hotspot, with past appearances from artists like Jason Derulo and others. A trip to Mynt during the week will show you an elegant food and cocktail lounge, but when the weekend strikes, something magical happens: See the shift right before your eyes as Mynt transforms from laid back hangout to upscale dance club every weekend. They cater mainly to the young professionals of the Lowcountry, and create an environment that’s perfect for networking. Classy, elegant, and always happening—that’s Sky Lounge in a nutshell. Some of the biggest parties in the Upstate happen within these walls. Eight VIP areas, two bars, and an excellent food menu keeps visitors coming back. Here’s the thing: There aren’t actually any blind horses here. But once you enter the saloon, that minor detail won’t matter anymore. Country music fans unite to hear live music from some of the genre’s biggest stars, like Travis Tritt, Garth Brooks, and Charlie Daniels, to name a slight few. They also have the biggest dance floor in the area, but if you aren’t quite confident to showcase your steps, you can sign up for line dance and partner dance lessons on Wednesdays. View more South Carolina Dance Clubs.